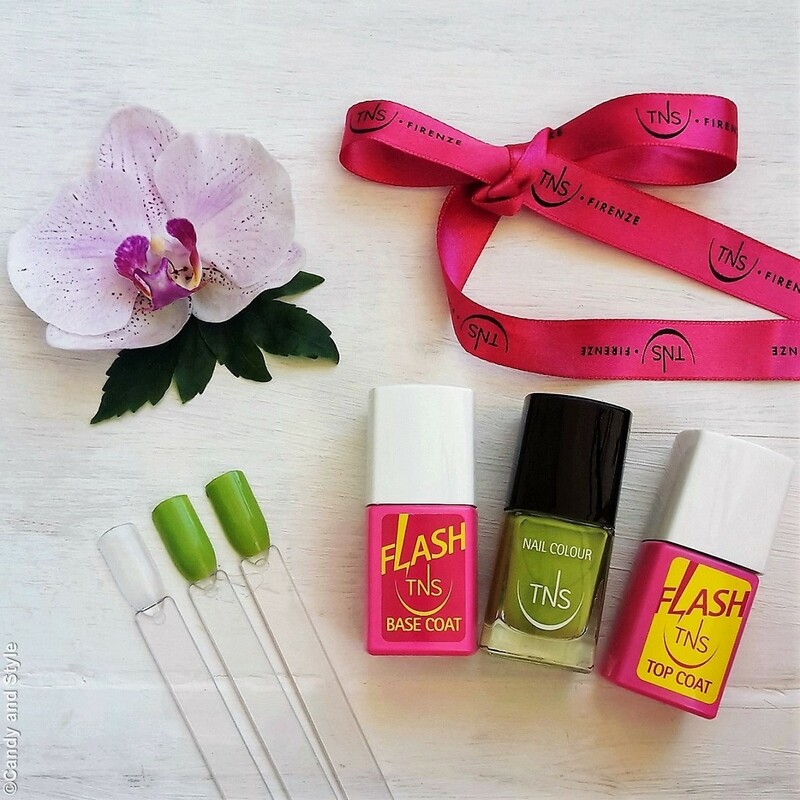 TNS Cosmetics has just launched a new line of products for the perfect manicure, the Flash System. 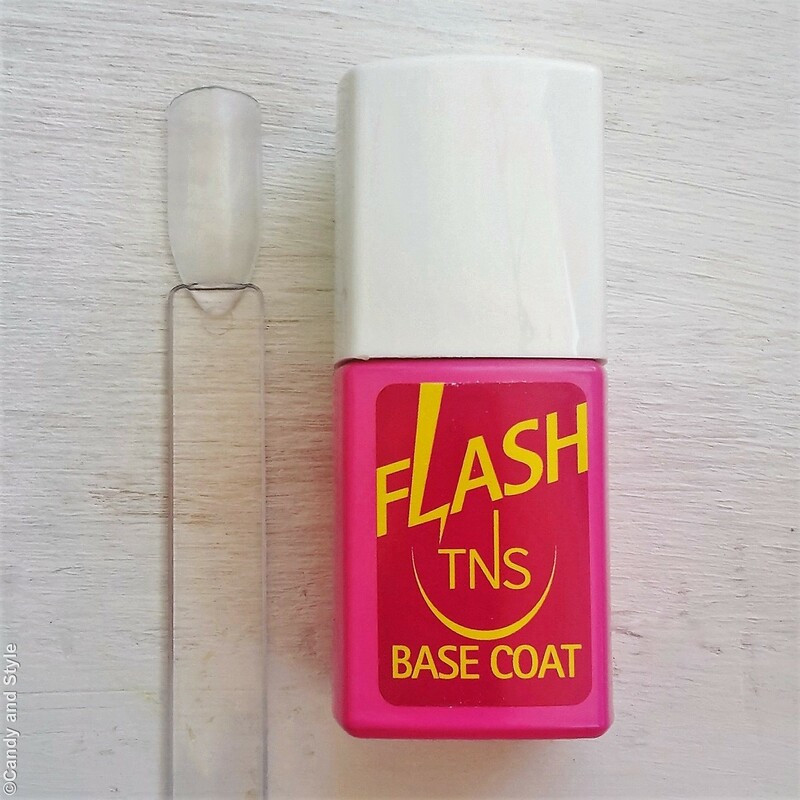 Flash Top Coat redoubled its action with the new Flash Base Coat, an amazing quick-drying base coat to use before the nail polish for a strenghtening and long-lasting result. It protects the nails and prevents the yellowing thanks to the special formula enriched with a strenghtening active ingredient, that makes the nails stronger and beautiful. What do you think about the newest Flash System? Do you need to use a base coat on your nails? 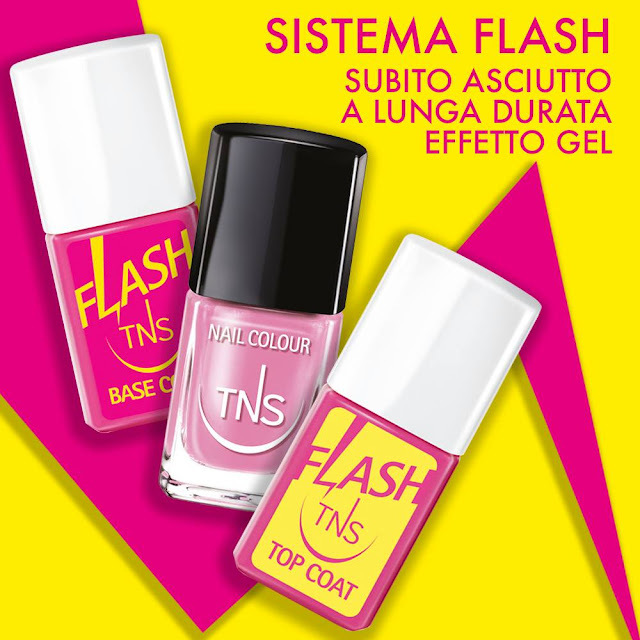 ITALIAN READERS: I prodotti TNS Cosmetics sono disponibili esclusivamente nei saloni e nei centri estetici distributori del marchio, in tutta Italia. Per trovare quello più vicino visitate la pagina facebook e consultate lo store locator. Scherzi?? ?voglio questi prodotti, proprio ieri mi lamentavo del fatto che lo smalto non si asciuga mai! This Flash system sounds impressive Lilli! 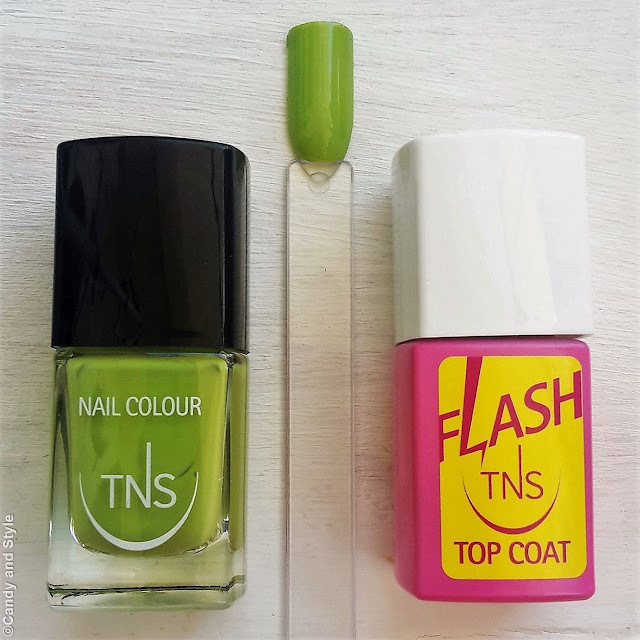 I always use a base and top coat to protect my nails but I've never tried anything with gel effect! I would like to since it improves both shine and wear of your polish. Have a fab week my dear! Quel punto di verde mi piace proprio tanto! Hi Lilli, looks so amazing and truly flawless. Love the colours too. This flash system sounds fantastic dear Lilli. Perfect for thin nails like mine. It´s a pity we don´t have TNS in Germany. Green vor nails is a funny color. I never think about it, but i like! Un brand ottimo, i colori sono meravigliosi! Adoro quando gli smalti hanno le asciugature rapide! 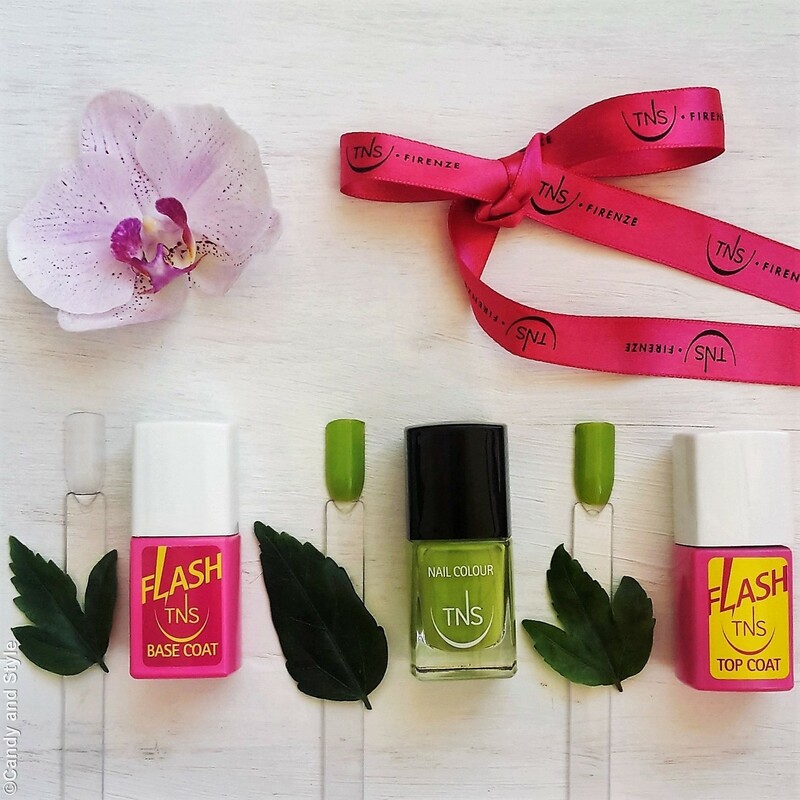 I am surprised with all the innovations of this brand, I draw much attention the contour for nails, is a novelty for me. Kisses.